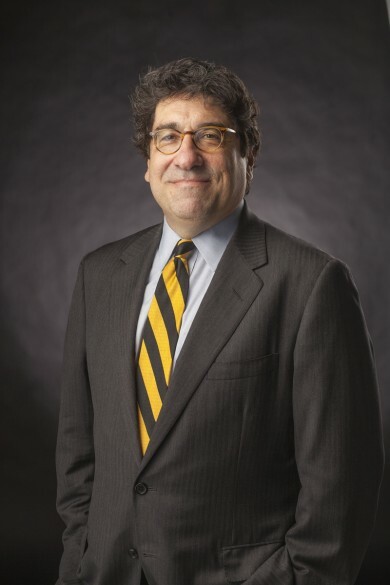 Ten years ago, newly appointed Chancellor Nicholas S. Zeppos announced that the university was making a Vanderbilt education accessible and affordable to all qualified students by taking the bold step of meeting 100 percent of students’ demonstrated financial need without loans. Stating that “talent and promise recognize no social, cultural, economic or geographic boundaries,” Zeppos and other Vanderbilt University leaders doubled down on that pledge in 2008, launching the Opportunity Vanderbilt initiative. With broad and generous support from donors, the university has raised more than $278 million to date for need-based scholarships. At that time, the university also opened The Martha Rivers Ingram Commons, the first step in an ambitious journey to build a four-year residential college system. These actions support Vanderbilt’s overall strategic effort to attract and convene a diverse, global intellectual community eager to solve the major problems facing society. Fast-forward a decade as Vanderbilt welcomes the undergraduate class of 2021, the university’s most diverse and academically accomplished class ever. The Class of 2021 brings together highly talented students from all over the globe and from all walks of life for a rich intellectual experience designed to educate and shape tomorrow’s leaders. Fully 45 percent of the 1,607 freshmen come from minority groups, double the percentage from a decade ago and up 3.8 percentage points over the previous year. More than 90 percent of the entering class were in the top 10 percent of their high school graduating class, and all are demonstrated leaders—in academics, service, athletics or the arts. They join a student body energized by many voices and perspectives and guided by world-class faculty invested in an immersive, experiential curriculum. The university’s chief enrollment strategist says that Vanderbilt offers a learning opportunity unlike any other, stressing the bonus of being located in Nashville. “Our unique equation of residential colleges, immersive learning and highly engaged faculty who bring learning to life is amplified by Nashville’s vibrant, innovative energy,” said Douglas L. Christiansen, vice provost for university enrollment affairs. “Vanderbilt is where it is today in large part due to the strength of Nashville and Tennessee and the culture of opportunity and entrepreneurship. 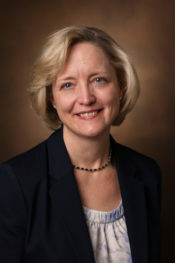 Vice Chancellor for Academic Affairs and Provost Susan R. Wente points to the university’s Academic Strategic Plan and its focus on creating a rich undergraduate experience. The strategic plan is built on four key pillars—the undergraduate experience, trans-institutional initiatives, educational technologies, and health care solutions—with essential themes of graduate education, diversity and inclusion, and international impact woven throughout. Students are attracted to the Vanderbilt experience, with the applicant pool growing by 144 percent over the last 10 years. During the same time frame, the Ivy League colleges reported a 69 percent increase in the number of applicants. Of the 31,462 students who applied to Vanderbilt this year, 10.9 percent were admitted. Vanderbilt now competes with the nation’s top schools for the nation’s top students. In 2017, the top five overlapping schools were Duke, Harvard, Yale, Stanford and Penn. This year, Vanderbilt posted its highest yield rate in recent history, with just under half of admitted students—47.1 percent—choosing to attend Vanderbilt. Financial aid, increased access and opportunity, and debt reduction play a large role in drawing the diverse pool of applicants to Vanderbilt. 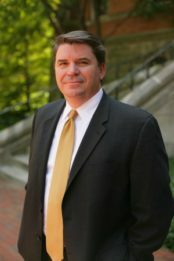 In addition to the Opportunity Vanderbilt effort, the university has joined the American Talent Initiative, a growing alliance of 79 of the nation’s most respected colleges and universities with the goal of substantially expanding the number of talented low- and moderate-income students at America’s top-performing undergraduate institutions. This year, more than 70 percent of the freshman class receives financial aid; 53.9 percent of freshman receive need-based aid. More students than ever are receiving Pell Grants, with 15 percent of the freshman class receiving the federally funded, need-based grants. That’s up from 8 percent of the freshman class in 2008. National standings reflect these advances, with Vanderbilt rising to a best-ever No. 14 in the most recent U.S. News & World Report rankings. Kiplinger’s Personal Finance rated the university fourth in best value among private universities. The Princeton Review gave Vanderbilt top marks this fall, placing it at No. 1 for happiest students, No. 2 for great financial aid and best quality of life, and No. 6 for college city that gets high marks. Vanderbilt was also recently named the 10th most innovative university in the world, according to a Thomson Reuters analysis of 100 educational institutions around the world doing the most to advance science, invent new technologies and power new markets and industries. Geographically, the entering class represents 47 of the United States and 31 countries. Just over 10 percent of the class is from Tennessee, with 25 percent from the other Southern states, about 16 percent from both the Midwest and the New York/Pennsylvania/Maryland/D.C. region, 9.4 percent from the southwest, 9.3 percent from the Western states and 5.1 percent from New England. In addition, 8.2 percent of the incoming class is international students.